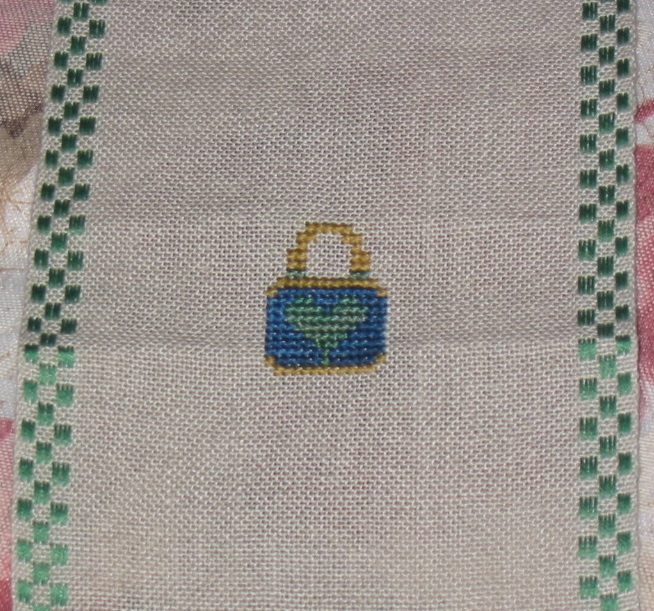 Since I have to go to work soon I thought I’d do my stitching and post before I had to leave. Here it is, Treasured Tools Sewing Case. I’ve put in the padlock on the outside of the case. I love the deep blue, green and gold combination.